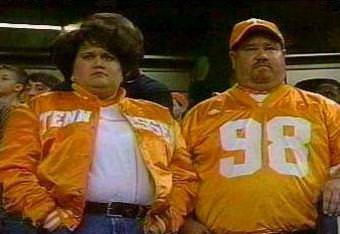 Thank you, Tennessee Vols, for being such dip-shits and letting us keep Schiano. You keep being you, TN, and I second the thanks. Thanks for the great coverage Andrew. The constant flow of information on all things related to our favorite team is greatly appreciated. Hickman's recruitment again shows how valuable Coach Schiano has been as a recruiter. Go Bucks! Love his game. Definitely think he could be a two way player in college but he won't be here at OSU unfortunately. What if both Cross and Battle want in? Would the staff take 3 safeties? Hope so. Lets keep those pipelines flowing from DeMatha, and Aquinas. Cross is absolutely a take right now, but they want to evaluate Battle a little more this spring and summer. I could see them stretching it to three if the numbers allow. considering [from the outside] the other S and DB or WR possibilities listed, accepting Hickman at this point is an intriguing choice. Of course, there are offers and offers, and acceptances or acceptances. Nevertheless, congratulations to Ronnie Hickman! This is another reminder that we need to OVERPAY Schiano to keep him around a LOT longer. Jim Harbaugh is overpaid, while Greg Schiano is underpaid and deserves to be paid more. I'm talking overpaid... like in line with other head coaches just under Urban.. can not stress enough how important he has been to the program. NFL teams LOVE him and how he gets kids ready day 1 in the league and in turn kids love that and think they are 3 years away from getting paid. We can not lose him... NFL is going to offer him $4M per year... we should match next season..
Hickman is a big, explosive prospect. This is a great get for the Buckeyes - he's gonna make a huge statement on his class. Haven't heard of many guys nicknamed "Rocket" since Raghib Ismail...how fast is this guy? Not very... Did you read the article? Did you watch the video? He made most people he was playing with or against look like they where slow mo. His burst is really something special. His crossing routes it was two steps and he was gone to the house. My computer apparently autocorrects words now. Thanks. Bet he accomplishes more than another dual-threat player from New Jersey who was allegedly the best player since Jim Thorpe. Hint: Someone who will rival Mike Junkin as the worst all-time first round draft pick of the Cleveland Browns. Good to see a SS/headhunter type player in the fold. Similar player to Woodbey from last year. Welcome to the family Mr. Hickman.